Foil prints are trending in a big way right now. We’ve seen foil graphics pop up everything —from graphic logo tees to retail giants to the runway. We love foil because one, it’s super easy to execute and two, there are so many creative ways to use it. 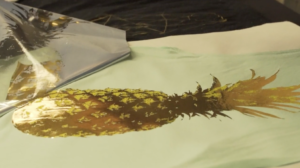 Today we are going to show you three unexpected ways to incorporate foil printing into your next t-shirt design. As foil printing continues to dominate the screen printing industry, it’s a great way to elevate your designs or impress your customers. We hope to inspire you with 3 of our favorite trends we tested out at Deluxe Screen Printing in Los Angeles. We’re giving away 10 of each of the tees we designed so read until the end of the post to see how you can win them. Foil prints don’t have to be loud. We love the subtlety of a foil that is just a shade lighter or darker then the t-shirt. We are going to show you two awesome examples of this. The first is a silver foil on our unisex triblend tee, a super soft tee in a really pretty shade called athletic grey. Another tonal favorite is a black foil on a lightly textured black tee. Black foil is a bit unexpected and the sheen of the black foil provides just enough contrast on this BELLA+CANVAS mineral wash tee, and what you end up with is a really fashion-forward graphic tee. Textured tees are a great way to get your design to stand out from your competition, and when decorating them, we always think less is more. For instance, this black speckled tee already makes a cool statement, so using a delicate, thin lined foil compliments the t-shirts existing canvas. 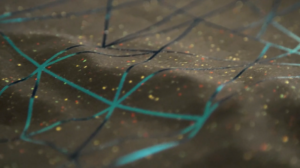 You can see how the thin geometric lines bring out the texture in the tee and make the speckled threads of fabric really pop. 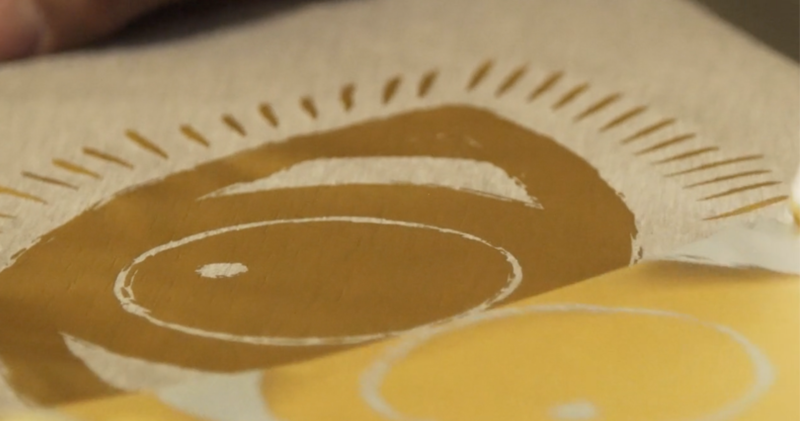 Using foil and ink together is another great way to incorporate foil into your print. For our design, we chose complimentary colors and are using yellow ink with gold foil on top of our best-selling Flowy Muscle Tee in mint. It’s a lot of fun to play with unexpected color combination and foil is a great element to add to that puzzle. So there you have it! 3 awesome ways to incorporate elements of foil into your design. We hope you’ll try them soon! First, follow @bellacanvas and @deluxscreenprinting on Instagram. Then, head to the @bellacanvas page and tag a just tag a friend on the picture of these tees and indicate the t-shirt you like the most! We’ll pick 10 lucky winners for each style!